Studies have shown that hands-on, experimental learning is vital to the success of students enrolled in college engineering courses. This has led to universities becoming increasingly concerned with finding ever-better ways to provide students with opportunities to engage in hands-on learning. Traditional on-campus laboratories are very helpful, but they can be limiting. Students must share equipment, and often find themselves part of a group in which not every student has the opportunity to actually get their hands on a device. Universities do their best to offer extended lab hours, but many students still find it impossible to get the hands-on time they need with lab equipment. Researchers continue to search for a solution to this problem, and in the research paper titled “Remote Circuit Design Labs with Analog Discovery,” three researchers examine the use of Digilent’s Analog Discovery as a means of increasing hands-on learning in two separate Circuits courses. 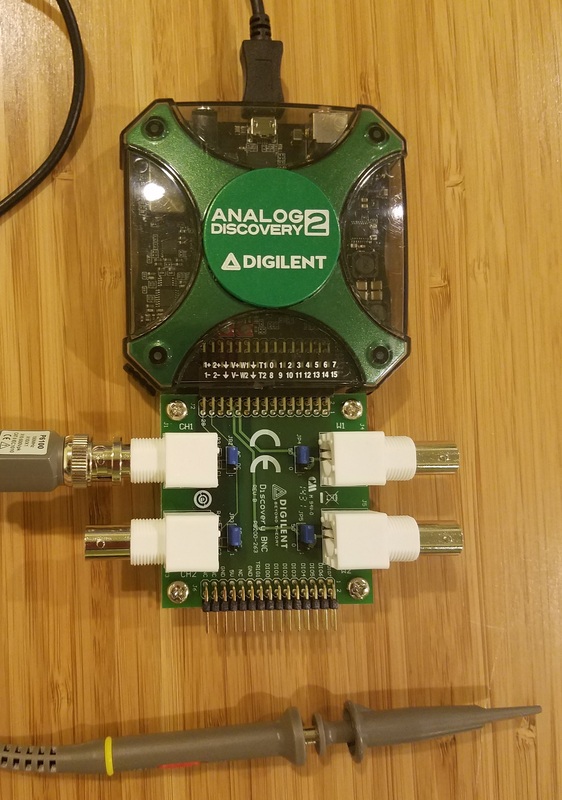 The Analog Discovery from Digilent is a small, portable circuit design station that lends itself perfectly to experimental learning. It has been shown that it is important for students to have opportunities to engage in hands-on, experimental learning early on in their college careers. Early exposure to this type of learning has been shown to increase student learning outcomes and student retention in engineering courses. Because of this, many universities are developing courses that will give freshmen ample opportunity for hands-on learning. 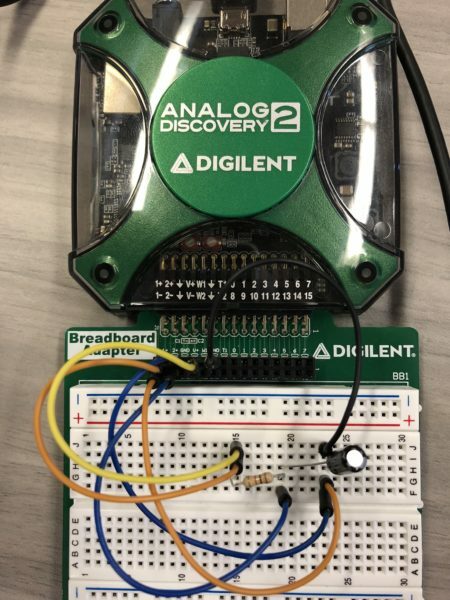 In 2012, the Electronics Engineering Technology department at one university decided to use Digilent’s Analog Discovery in their Electrical Circuits I and II courses. These courses are unique because the only prerequisite is Pre-Calculus, making them accessible to first and second-year students. Below is a list of topics covered in these two courses. 1. 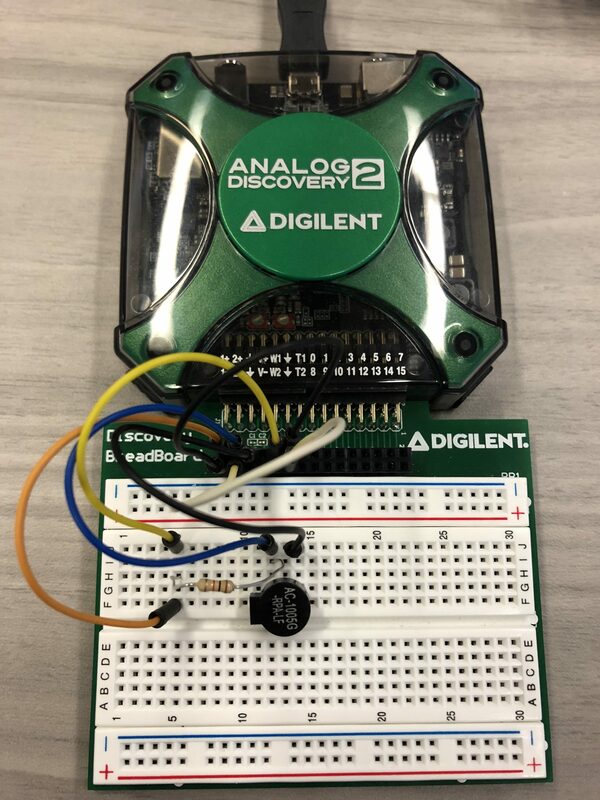 To disseminate Electronics Engineering Technology awareness to under-represented groups, local communities, precollege and postsecondary students, and teachers via outreach demonstration projects using the Analog Discovery kit. 2. To assist students who need help at any location 24/7. 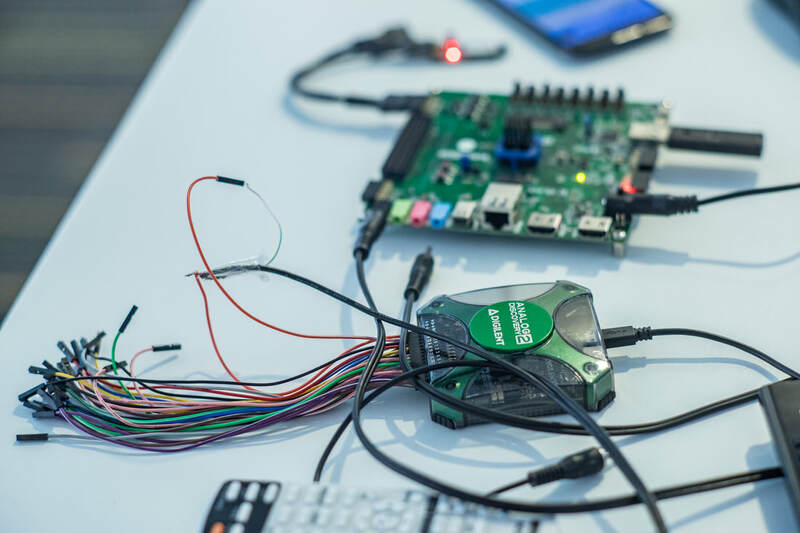 With the Analog Discovery, Student Lead Outreach Groups will be able to bring experimental, hands-on learning to groups who would otherwise have no access to such information and valuable experience. It can even help increase high school students’ interest in engineering, and help prepare future engineering students for what lies ahead. Overall, the Analog Discovery is an excellent addition to any Electrical Engineering Technology Program. Use of the Analog Discovery as a means of increasing hands-on learning and creating remote labs can lead to “higher matriculation rates, increased retention, and ultimately a higher graduation rate.” Both instructors and students were very pleased with the Analog Discovery as a means of supplementing the traditional on-campus lab experience. The Analog Discovery is portable, flexible, and affordable, making it an invaluable tool for both introductory, and upper division college courses.